The heat resistant Portwest Reinforced Double Palm Rigger Gloves A230 ensure maximal protection in high risk environments. Constructed using high-quality cow split leather, the Reinforced Rigger Gloves offer comfort and breathability in providing reinforced protection in hazardous situations. 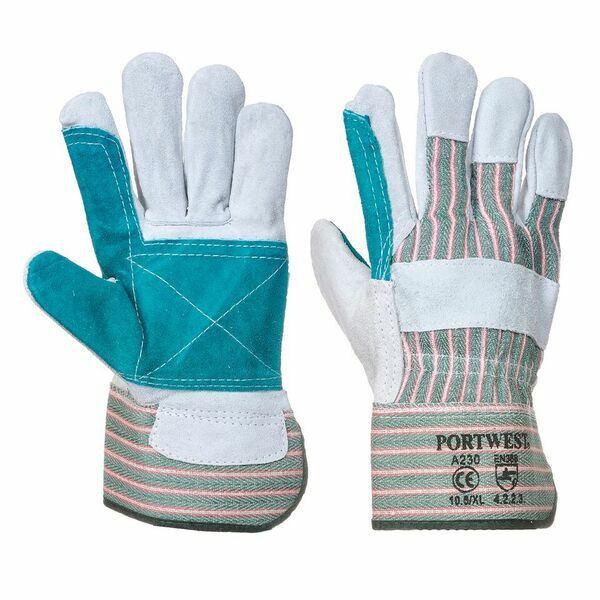 The highly adaptable Portwest Reinforced Double Palm Rigger Gloves A230 provide outstanding heat and mechanical resistance making them appropriate for a range of activities.